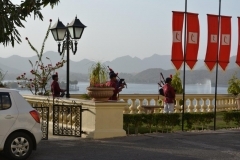 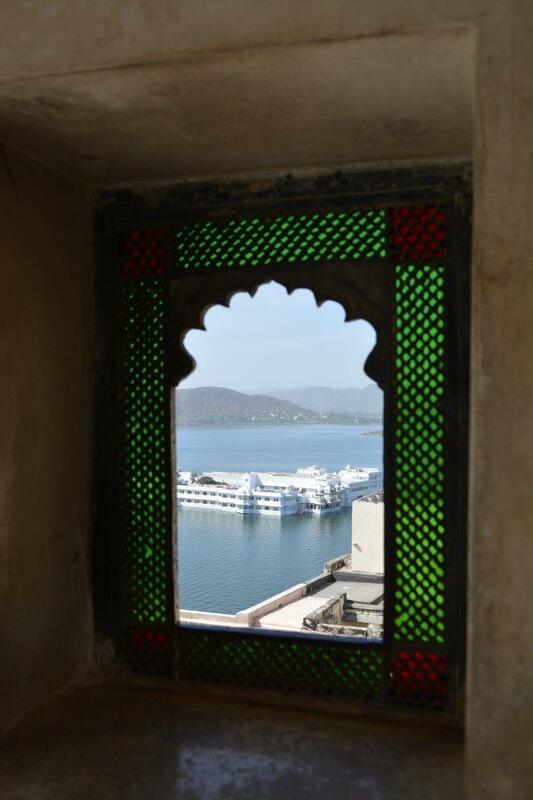 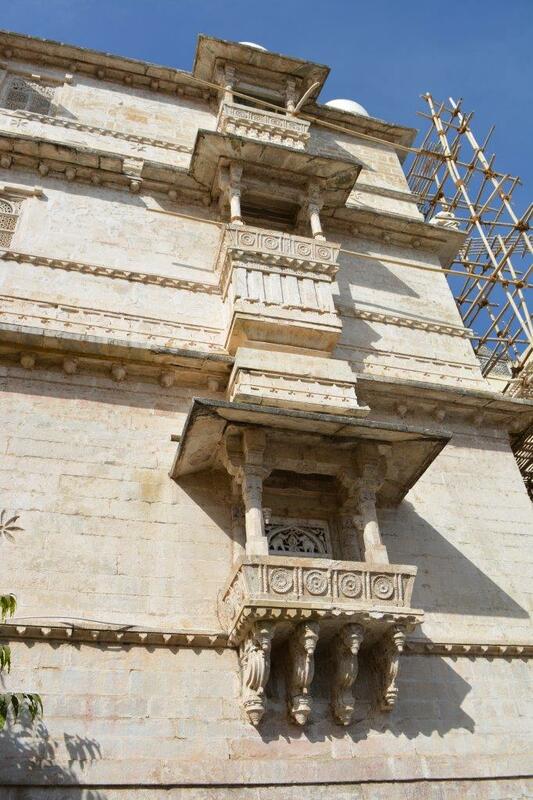 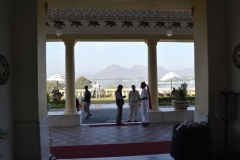 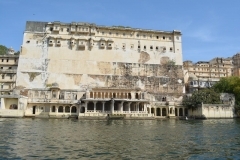 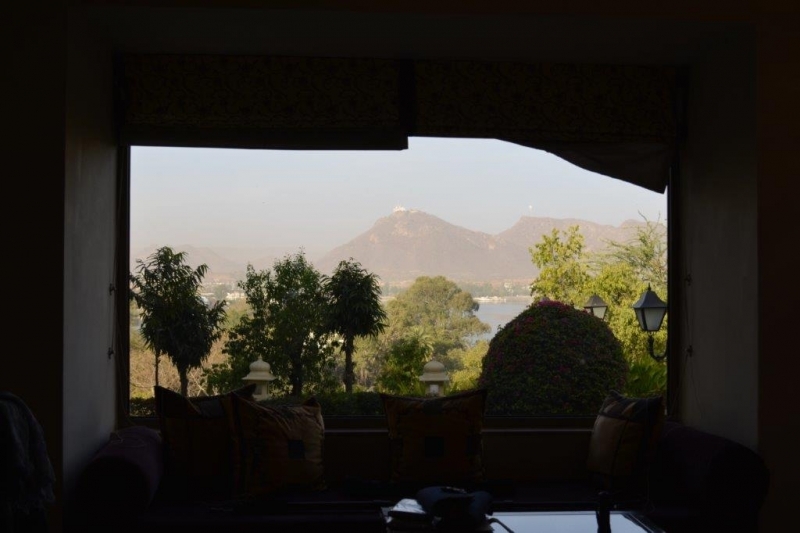 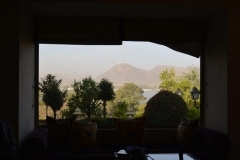 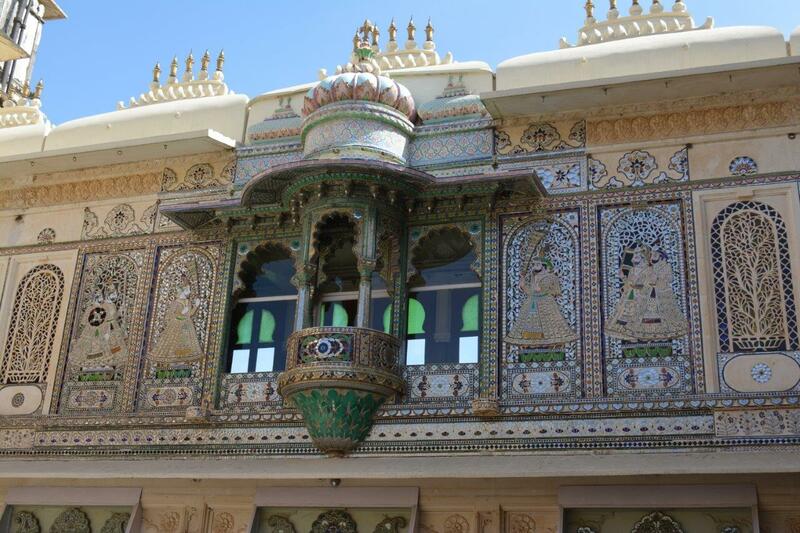 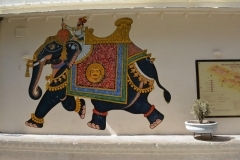 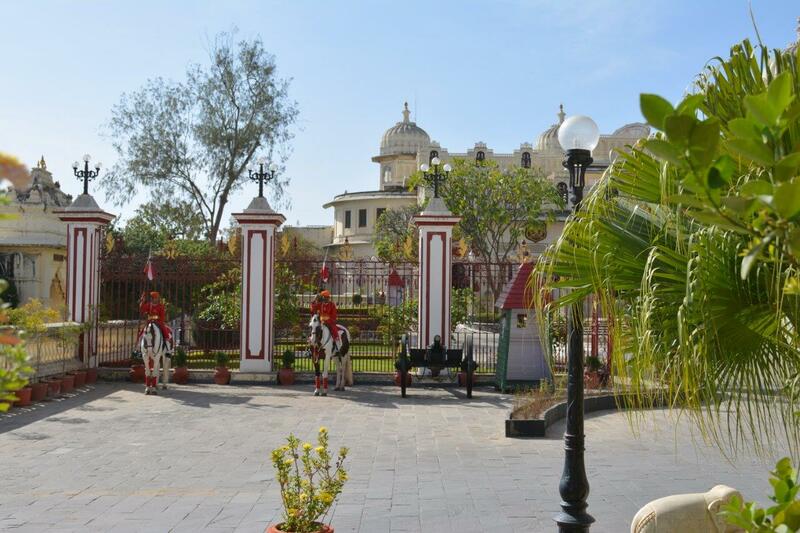 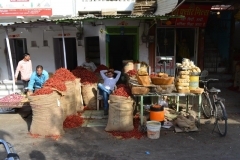 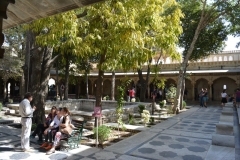 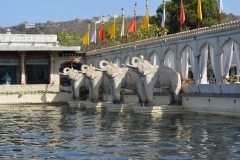 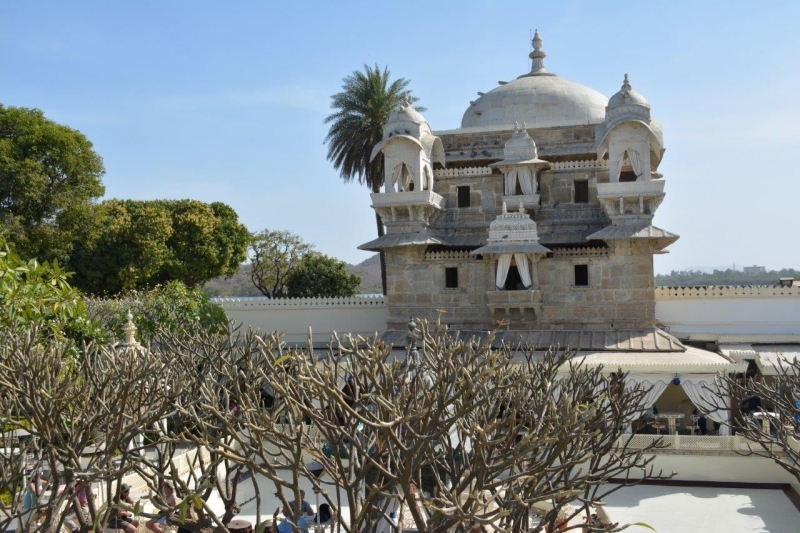 You will almost certainly recognise images of Udaipur even if you no nothing else about the city. 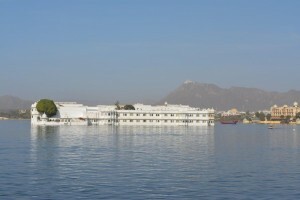 It is the location of spectacular palaces on, or near, the lake making for very beautiful scenes. 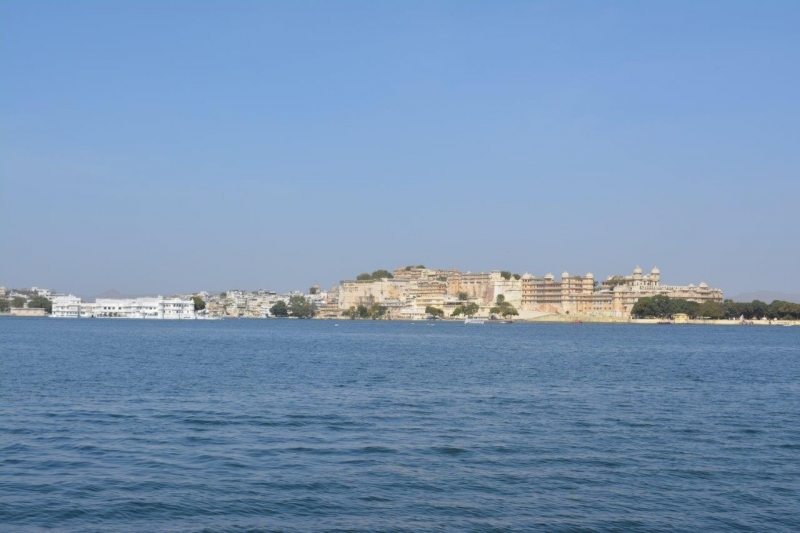 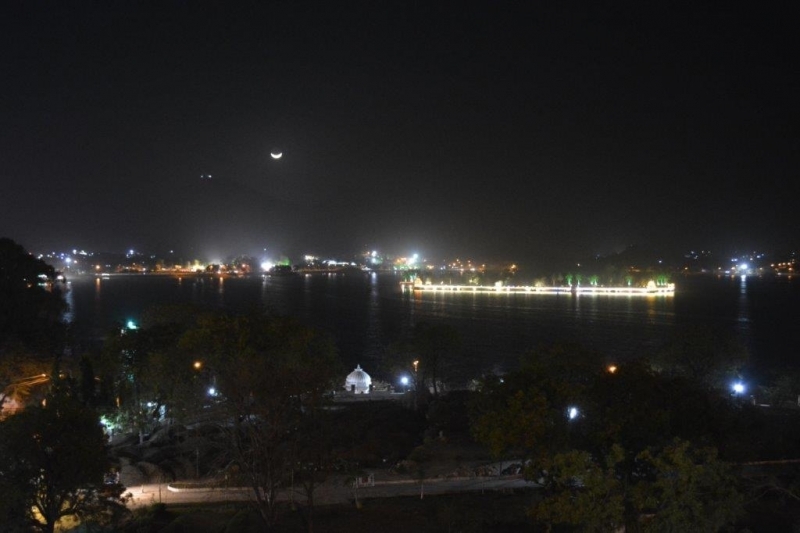 Udaipur also claims, with good justification to be the cleanest city in India. Udaipur is the historical capital of the Mewar kingdom and the current Maharaja, the 76th, lives in part of the city palace. 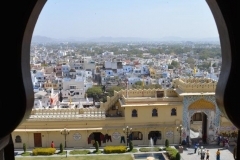 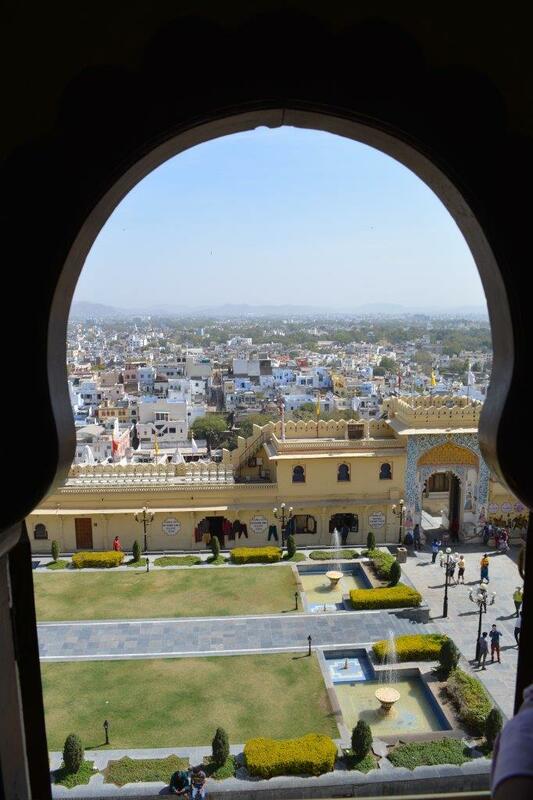 The exquisite city palace with, its fusion of Rajasthani and Mughal architecture, is beautifully maintained and is considered to be the largest of its type in Rajasthan. 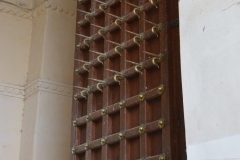 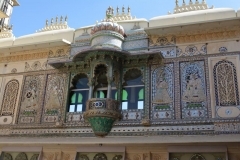 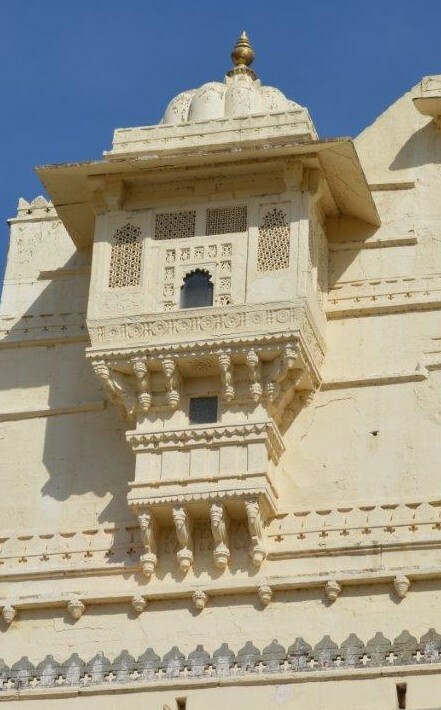 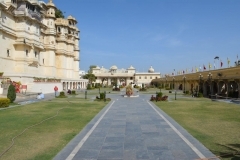 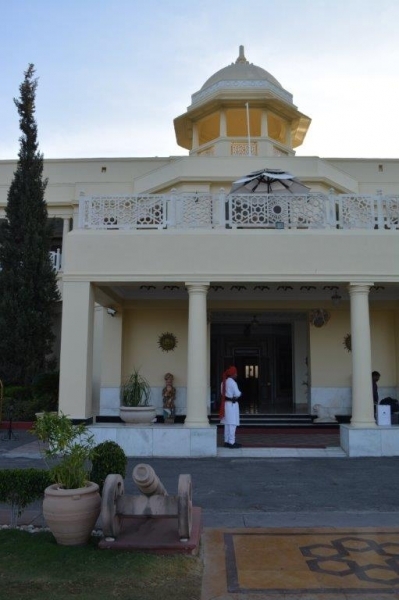 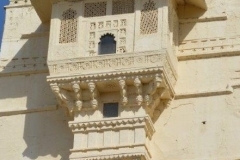 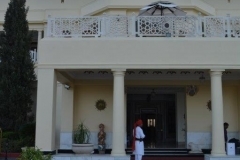 Part of the palace is lived in by the current Maharaja, and another portion is a luxury hotel, but that still leaves the majority of the building available to visit. 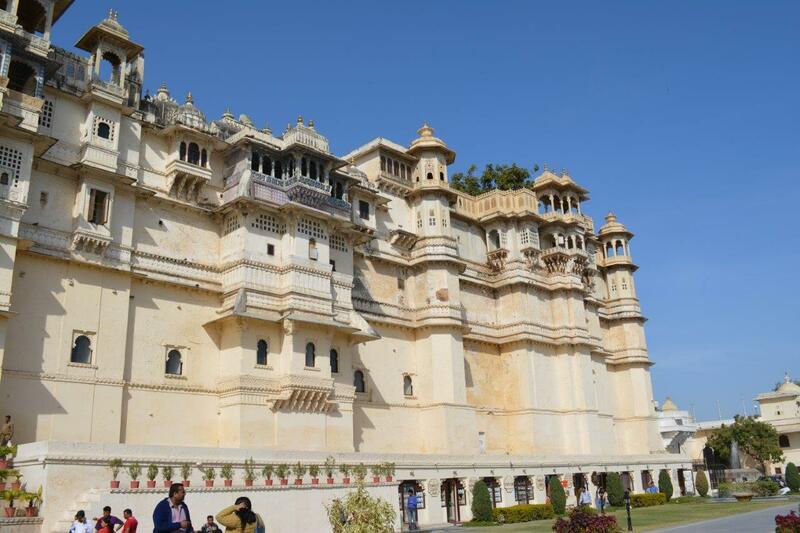 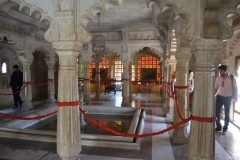 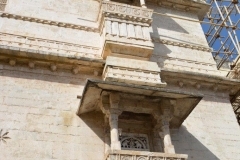 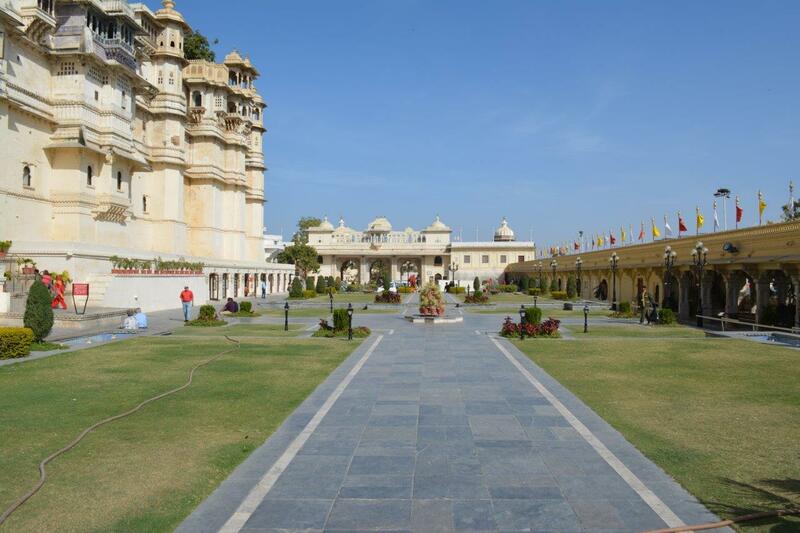 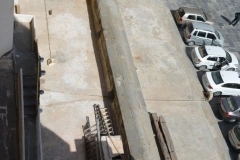 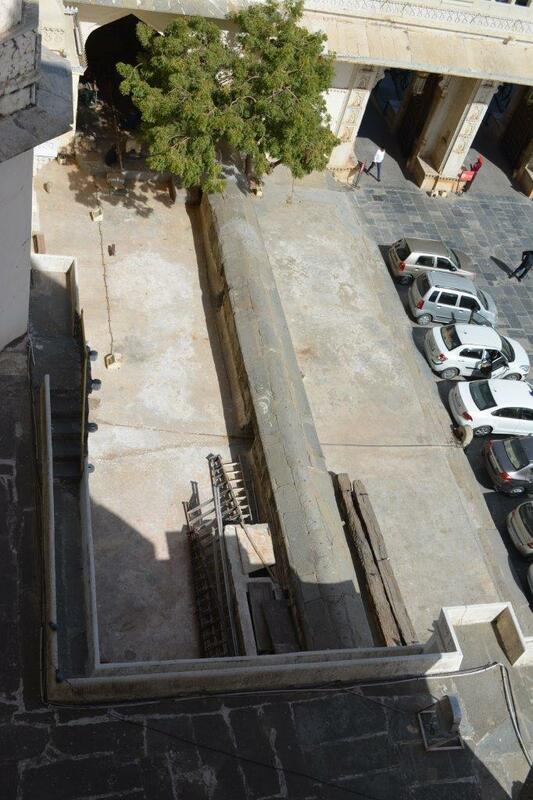 The palace was built in the 1550s when Maharana Udai Singh II moved his capital here. 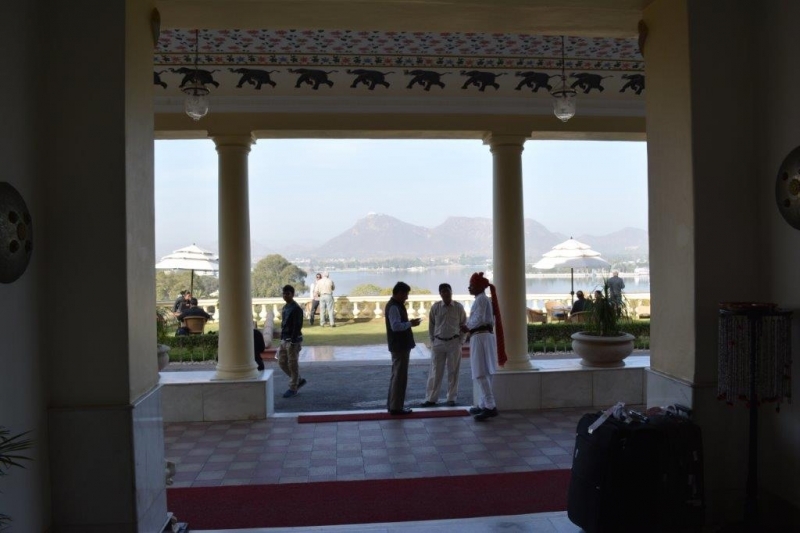 Our very knowledgeable guide made the tour of the palace a real pleasure. 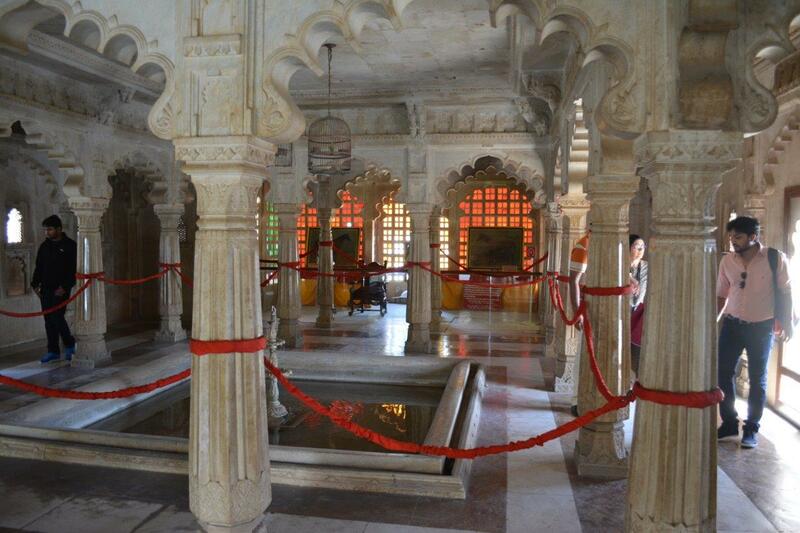 He was able to take us to the best locations and fill us in on the history in as much detail as we wanted. 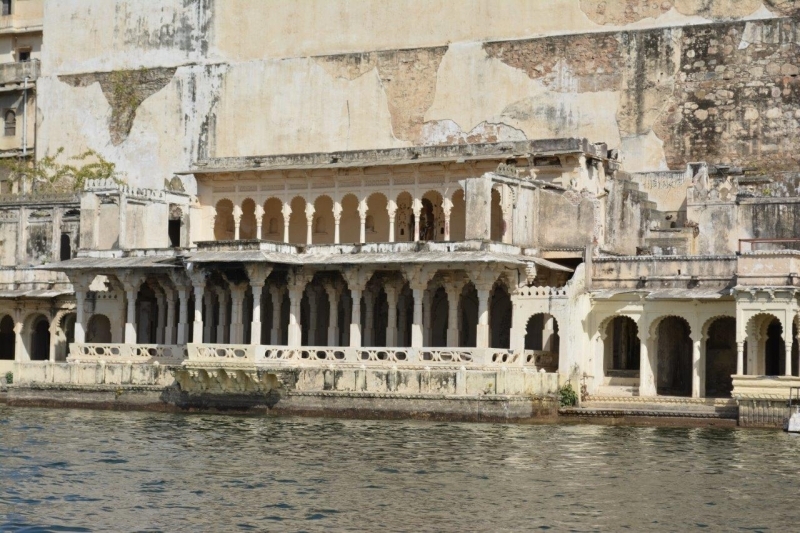 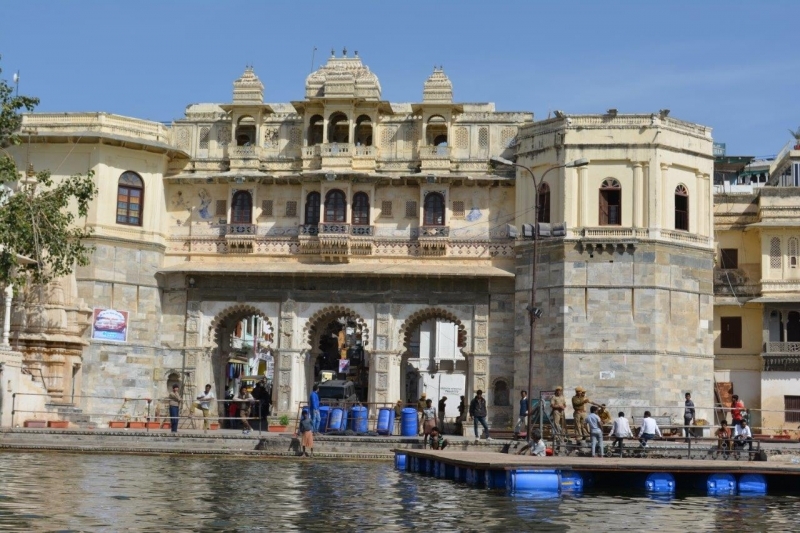 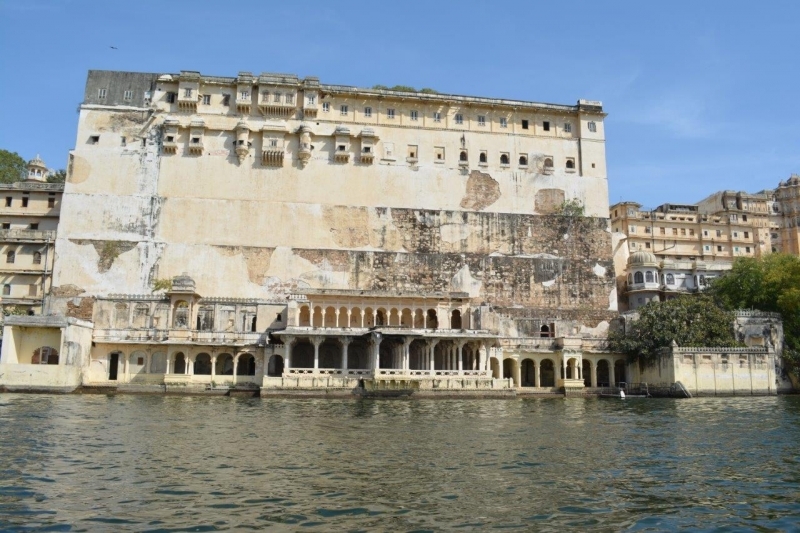 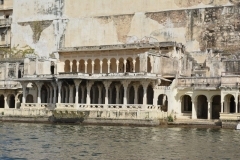 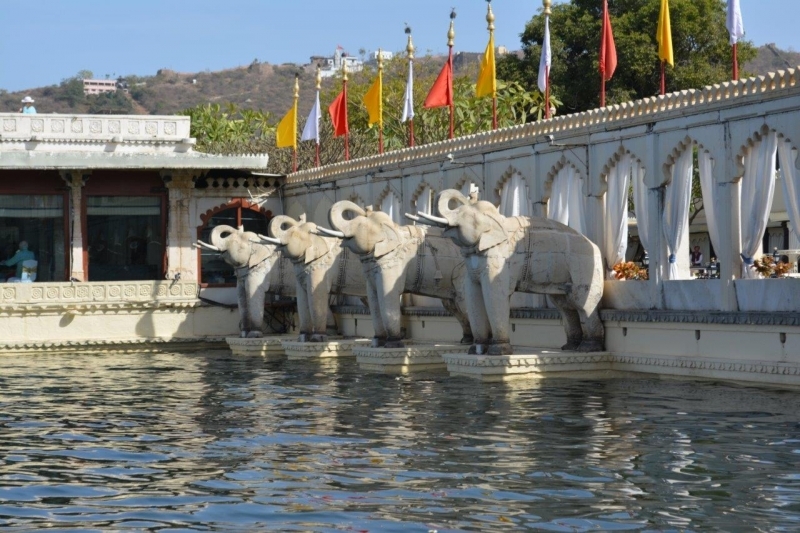 A boat trip of Lake Pichola is a wonderful way to relax after touring the City Palace and there is the chance to enjoy the beauty of the palace from the lake. 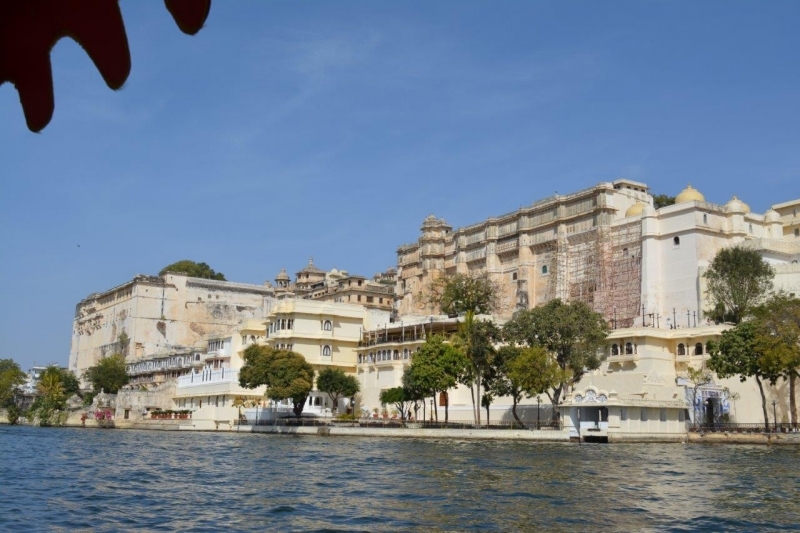 The boat trip takes you to Jag Mandir, the Lake Garden Palace, where you may alight and enjoy the views before taking your ferry back. 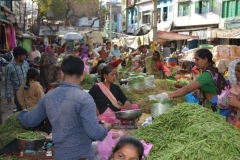 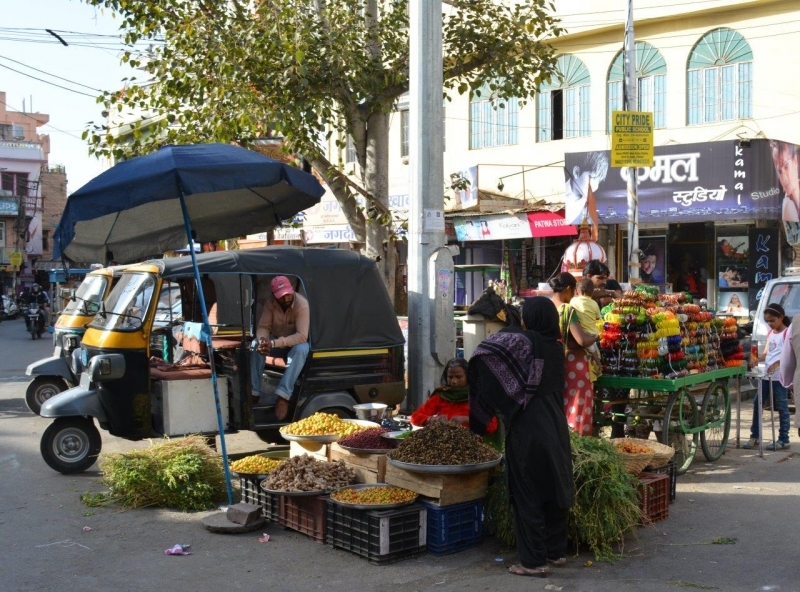 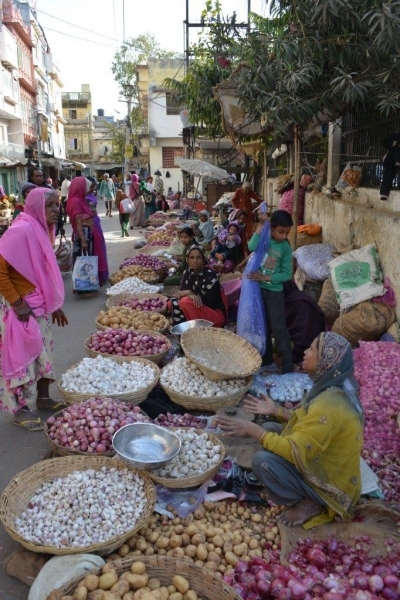 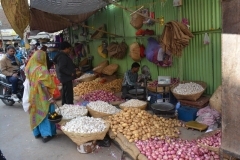 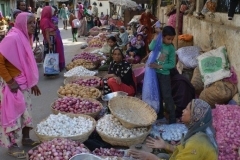 After touring the historic sites, another great experience was visiting the town and the fruit and vegetable market. 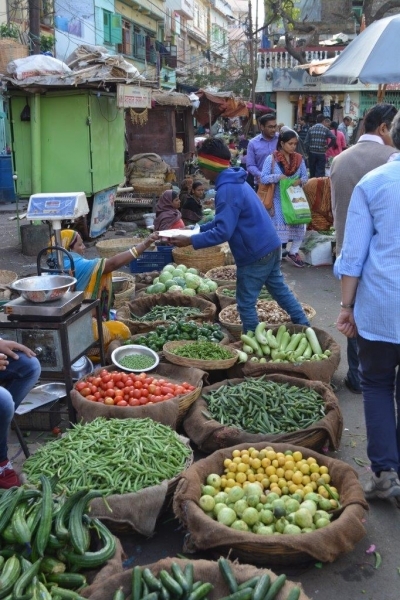 Our guide helped us to find some delicious street food. 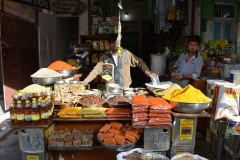 We enjoyed masala chai and vegetable samosas and, later jalebi (Indian sweets and so many good ones to choose from). 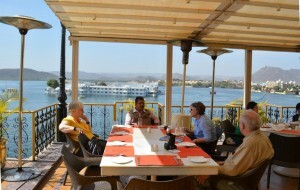 We had a big breakfast in the hotel so these snacks made an ideal light lunch. 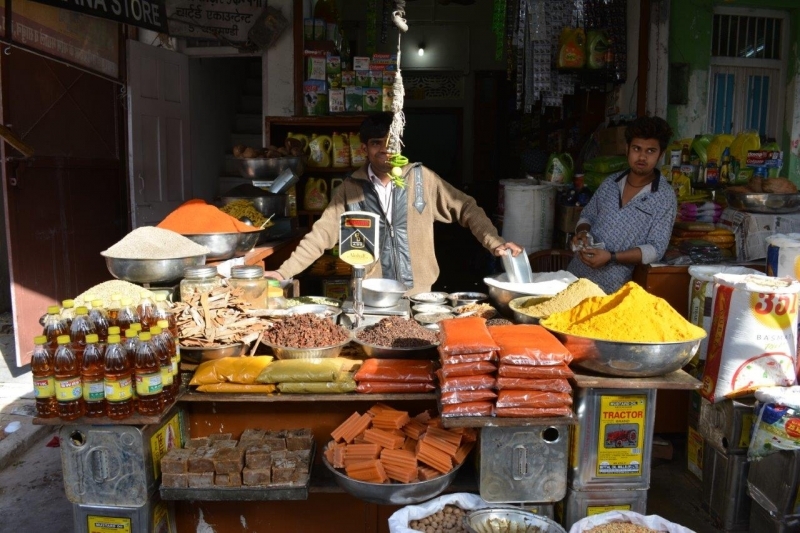 We all felt Indian sweets were very under rated in the UK and so hard to find. There was plenty of choice here! 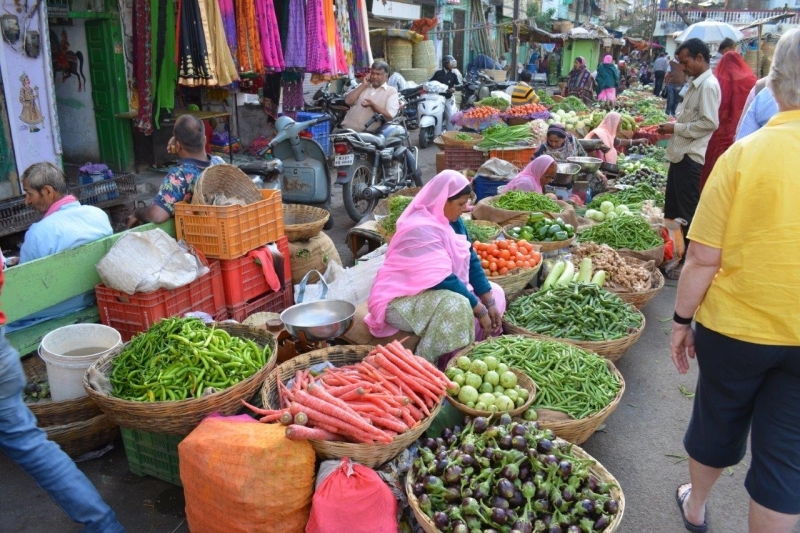 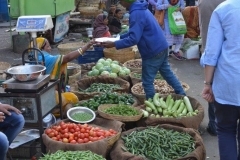 The vegetable market was really alive and full of colour and noise. 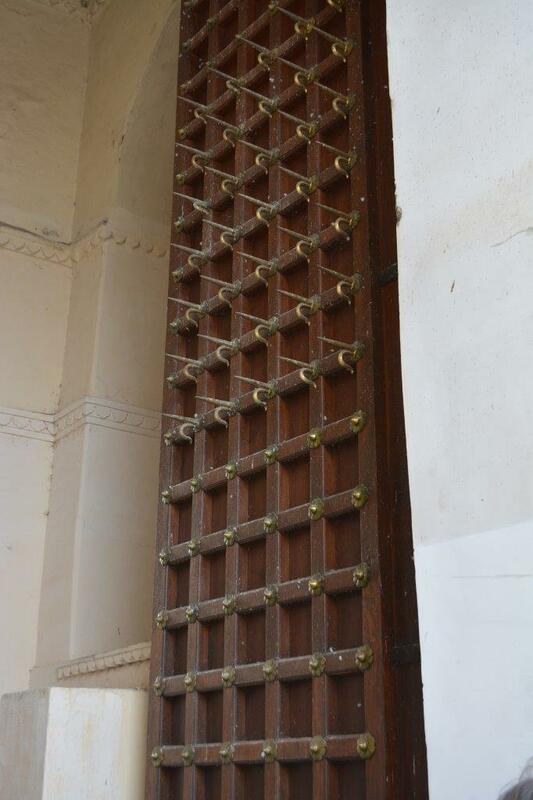 It is the sort of thing that has disappeared from the UK completely. 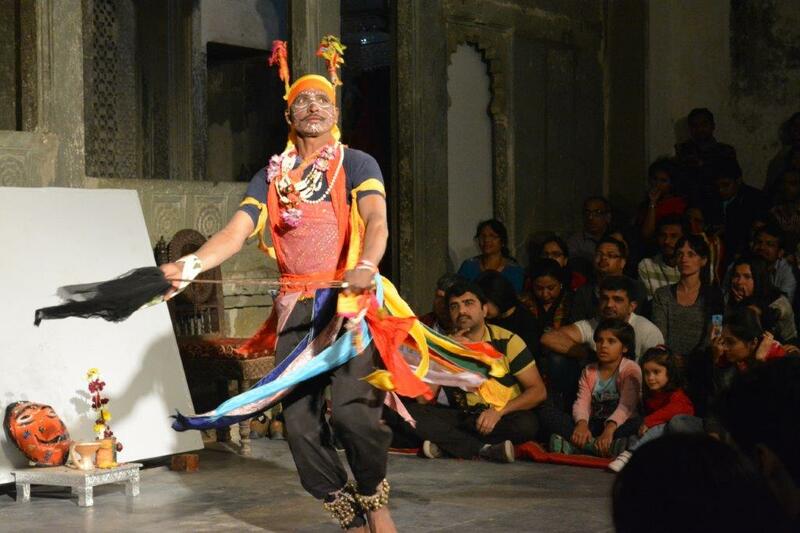 To round off a full day we visited Baghore ki Haveli for some Rajasthani theater. 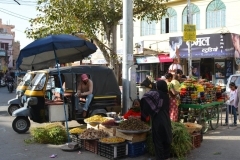 The show lasted about an hour and it was full of colour, drama and humor. 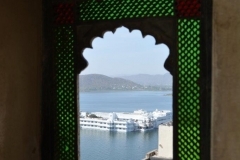 It exceeded my expectations and I would definitely recommend it. The video below shows just a few of the highlights, including a Rajasthani puppet show. 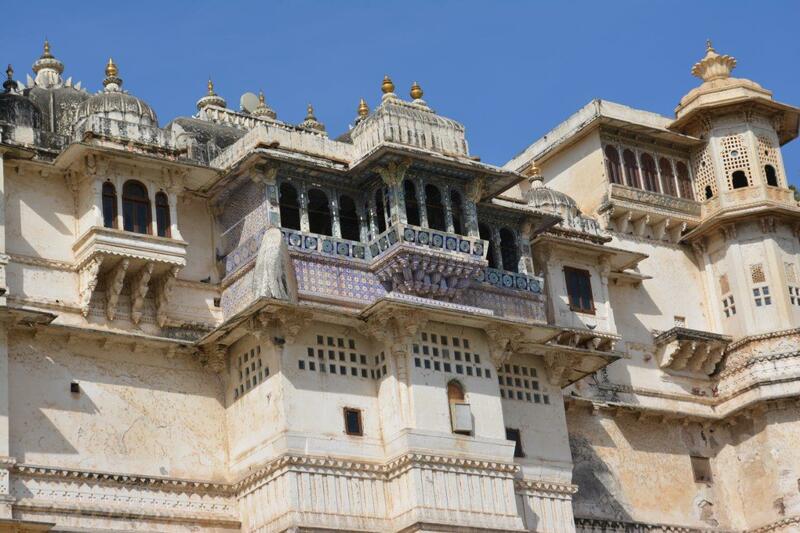 There were many more sights to see so we could really have done with a bit more time so we left wanting more. 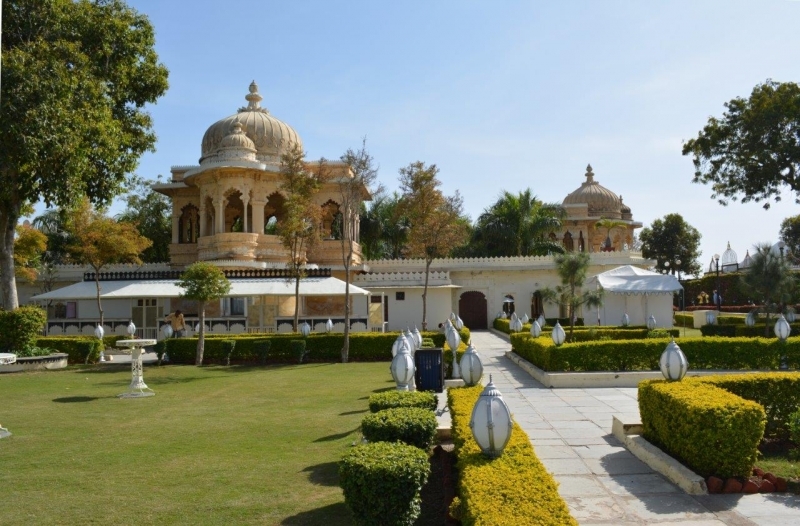 A few images of our excellent hotel.